It’s been quite the month for Indiana Jones-inspired madness, after a sealed 2,000-year-old sarcophagus was discovered in Alexandria, Egypt, on July 1. Nobody knew what was inside, but some feared that the black granite coffin might be cursed. 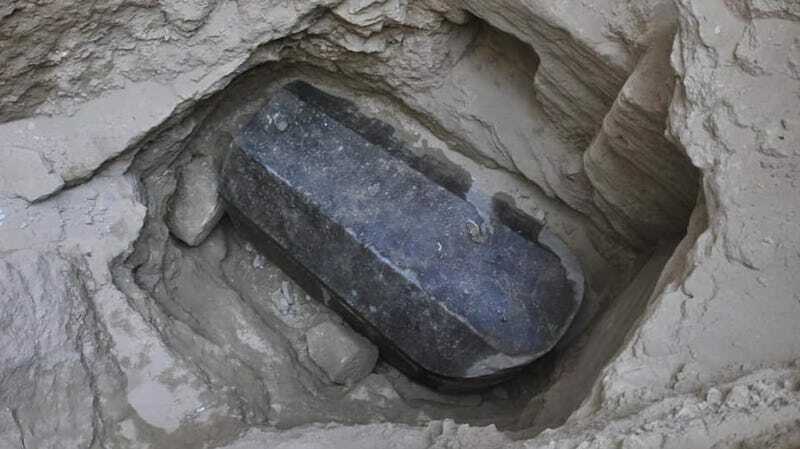 Those fears were put to rest on Thursday, when the sarcophagus was finally opened. It was full of human bones and sewage. To internet sleuths, learning the true contents of the mysterious sarcophagus must be a bit of a disappointment. Since it had been undisturbed for thousands of years, many believed that the burial site held some sort of curse, and opening it could release apocalypse scenario, like that depicted in The Mummy Returns, a 2001 thriller starring Dwayne Johnson, Brendan Frasier, and Rachel Weisz. After all, a grotesque-looking alabaster sculpture of a man’s head was also found near the tomb. Some even thought that the sarcophagus might contain the body of Alexander the Great, whose grave has never been found. 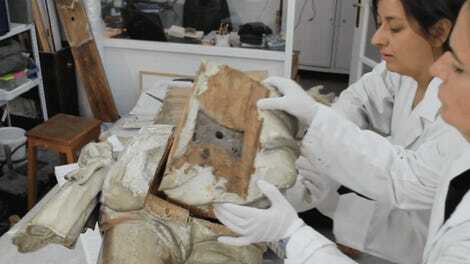 Nevertheless, the skeletons will be sent to the National Museum of Alexandria to be studied. The Ministry of Antiquities will also lift the sarcophagus from the ground and move it to Egypt’s Military Museum. As for the internet-based archaeology enthusiasts who have missed another chance to witness some sort of world-changing spiritual invasion or, more enticingly, the discovery of an ancient Egyptian artifact that proves to be a portal to a parallel world in another galaxy, as seen in the 1994 sci-fi classic Stargate—well, those folks will have to wait until the next mysterious artifact to come along.